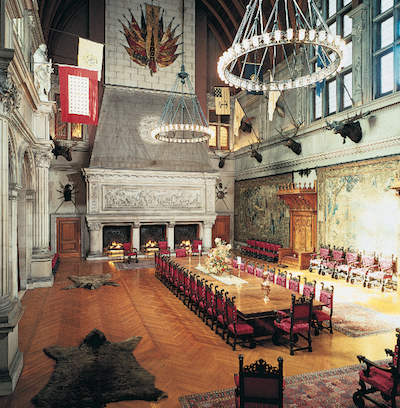 Visiting Biltmore and its 250-room French Renaissance chateau is like stepping back in time. 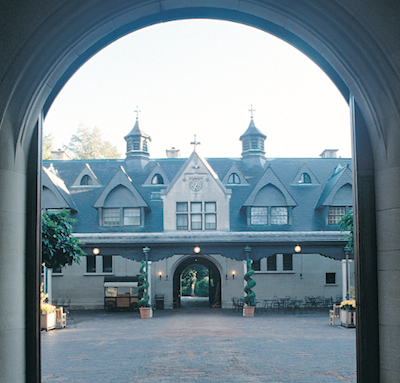 Begin your day at Biltmore House. Purchase our Audio Guide to Biltmore House (included in some hotel packages), which covers all rooms open to the public in America’s largest home. Be sure to check out each in-depth information stop for more details on the Vanderbilt family, Biltmore’s artwork, and life on the estate. Savor lunch in the Stable Café located next to Biltmore House. This was the original stable area for horses, and you dine in the historic box stalls that have become booths. In the afternoon, return to Biltmore House for your Behind-the-Scenes Upstairs – Downstairs Tour. Knowledgeable and friendly guides lead small groups to areas not accessible on the main tour, where you learn about the workings of this technologically advanced home plus more about the people who created the estate and lived there. Relax at the Winery in Antler Hill Village with a complimentary wine tasting. This Winery was originally a dairy barn for the estate, and there’s plenty of history around every corner. Have an early dinner at Cedric’s Tavern and check out the archival photographs related to the family’s favorite pet – a Saint Bernard named Cedric. After a restful night’s sleep at The Inn or Village Hotel, both conveniently located on the estate, treat yourself to breakfast. 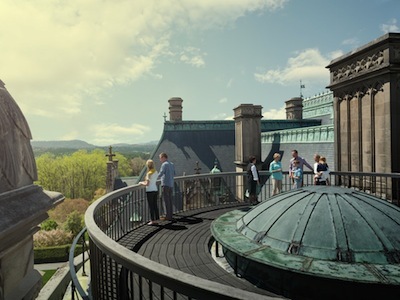 Return to Biltmore House for another guided tour taking you behind the scenes, like the Rooftop Tour or Legacy of the Land Tours, depending on your interests. The Rooftop Tour provides stunning views and close-up architectural details of the home’s exterior, while the Legacy of the Land Tour is a guided motor coach tour of the property. After enjoying any of these tours, immerse yourself in the “outdoor rooms” designed by landscape architect Frederick Law Olmsted. From the Library Terrace all the way to the Bass Pond, experience a series of formal and informal gardens – each with its own story to tell. Next stop, Antler Hill Village, where our agricultural history and legacy of hospitality and entertaining come together for today’s guests. At the Outdoor Adventure Center, check out lessons and outdoor activities that guests of the past would have enjoyed, as well as more modern offerings. Enjoy a casual lunch at the Smokehouse at the Farm in Antler Hill Village and browse through vintage farm equipment and information, plus displays of traditional trades such as blacksmithing and woodworking. Experience our historical exhibitions at The Biltmore Legacy in Antler Hill Village. Wrap up your visit with the indoor elegance of the Bistro. Relax and reminisce – and maybe even plan your next visit.